Joshua Kobak has a really exciting job playing over-the-top drug dealer St. Jimmy in the national tour of American Idiot. 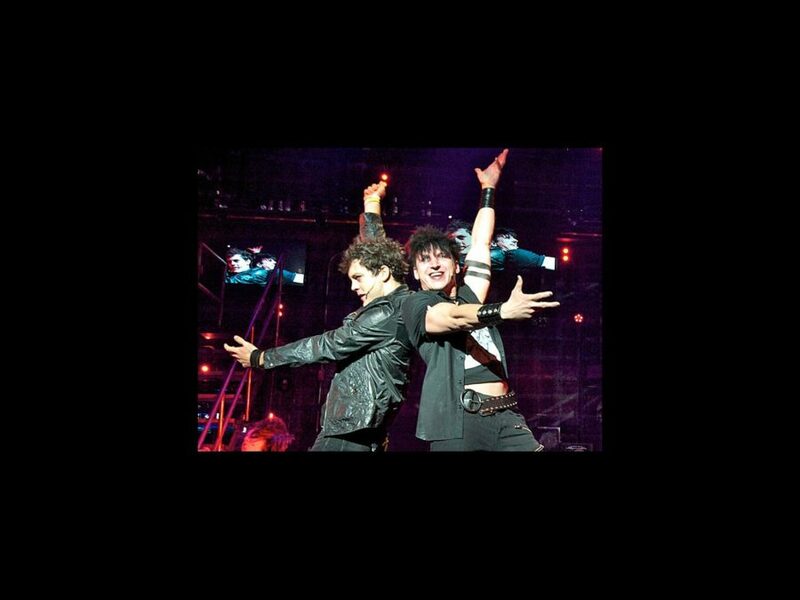 It even tops his previous gig: prepping Green Day frontman Billie Joe Armstrong for his Broadway debut in the role, which Kobak was understudying at the time. Armstrong, of course, co-wrote the rock musical based on his Grammy-winning album of the same name. “It was a total and complete honor,” Kobak, a self-proclaimed Green Day fan, said of his duties working with Armstrong on the Broadway production. "Those guys [Armstrong and his bandmates Mike Dirnt and Tre Cool] and their music have helped me out in a lot of different moments in my life." In addition to Kobak, American Idiot features Van Hughes as Johnny, Jake Epstein as Will, Scott J. Campbell as Tunny, Gabrielle McClinton as Whatsername and Nicci Claspell as the Extraordinary Girl.